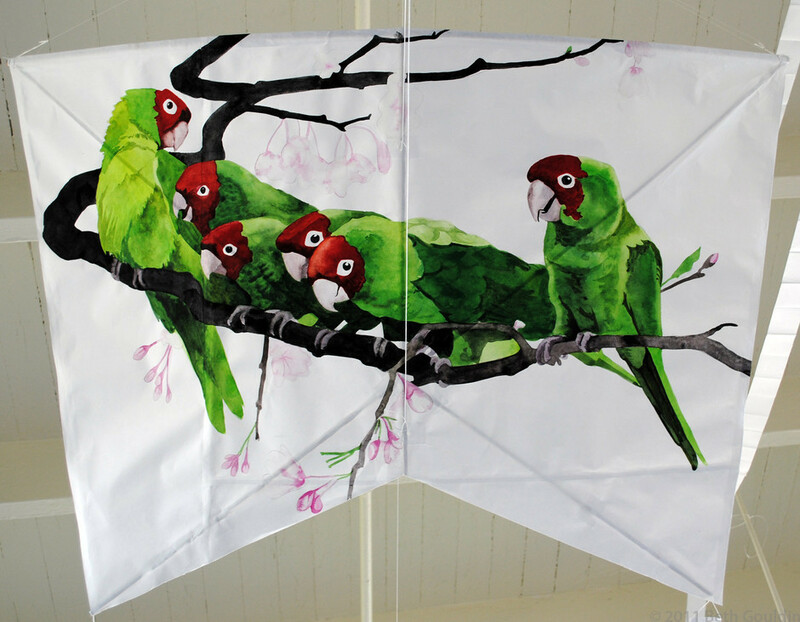 Kerori kite–masa/washi, bamboo, nori paste, cotton string Painting – watercolor and gouache Approximately – 40”x30” $300 Just before my first vacation trip to San Francisco I watched “The Parrots of Telegraph Hill.” I was then determined to find them while we visited and we actually did come across a small flock in the neighborhood below Coit Tower. Since moving here, I see or hear them now almost every morning, screaming while they fly over the house. A few seem to have moved into my neighborhood in fact. If you are interested in learning about the parrots, check out the California Parrot Project website.